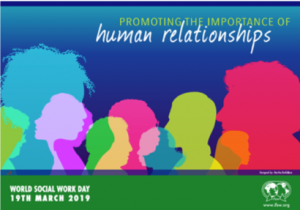 World Social Work Day 2019 on the 19th March highlights ‘Promoting the Importance of Human Relationships’. World Social Work Day is the key day in the year that social workers worldwide stand together to celebrate the achievements of the profession. They take the theme message into their communities, workplaces and to their governments to raise awareness of the social work contributions and need for further action. 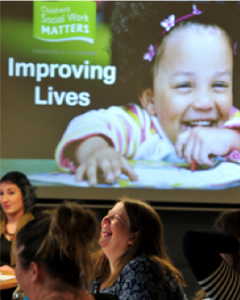 In Yorkshire & Humber Children’s Social Work Matters (CSWM) and our ‘Improving Lives’ campaign is rallying our communities and our profession towards this cause. The campaign, through the voices of social workers, reveals more of what Children’s Social Work is really like. It highlights the positive difference our social workers make in the lives of thousands of vulnerable children and families across our region every year. In line with this year’s World Social Work Day theme, our social worker stories exemplify the importance and power of human relationships – relationships with children, relationships with families, and relationships with colleagues. 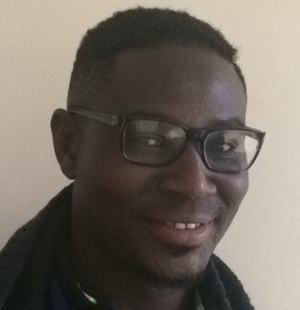 Our hope is that by being open about what we do and who we are, we can correct the many misconceptions that exist about social work and improve people’s perceptions and understanding so that people come to see social work and social workers in a more positive light, and give them the recognition they deserve. In recent years there have been a lot of changes in social work. This includes: changes to working practices and environments, and a more collaborative and holistic approach to training and development – all to make sure that the protection and safety of children remain at the centre of everything we do and is in tune with the world of today. In light of these changes, we set out to understand what challenges and barriers our teams face on a daily basis in trying to protect and support children and their families. We talked with social work students, practitioners, managers and educators about their values, about what they care about, and about what they do. Although this won’t be that surprising to us as social workers, what emerged was that; generally, people don’t understand what we, what social workers, do. There’s still a common view that we break families up. People don’t realise that our real aim is to help children and families live and thrive together. Many people and other professionals are also unaware that there’s much more to being a social worker these days and that there are many facets and complexities to modern social work. Along with this, many people and other professionals don’t realise that social workers are highly qualified and trained professionals. They aren’t aware of the significant level of academic and practical learning that is required to qualify as a social worker nor the further and ongoing professional development required to stay qualified. But above all, most people don’t see the passion, commitment and dedication that our social workers have in helping to support and protect vulnerable children and families in often very challenging circumstances. The activities and positive outcomes of social work are often invisible to people. These findings inspired our ‘Improving Lives’ campaign. The campaign encapsulates the real passion and dedication of our social workers and their views on what really matters and is important to them in doing the best job they can to protect and keep safe children and families in need of support. That is because children matter. Families matter. Children’s social work matters. The ‘Improving Lives’ – Children’s Social Work Campaign gives us a great opportunity to show people what social work is really like and who we are. This World Social Work Day, it would be great if our Yorkshire and the Humber colleagues (and those further afield) got involved on Twitter. Tell us why you think social work matters and how much difference social workers make in the lives of vulnerable children and families. If you’re a social worker, show that you’re proud to work in this life changing profession. Tell us how you’re celebrating World Social Work Day locally; don’t forget to include photos of you and your colleagues! If you’re not on Twitter email us at: support@childrenssocialworkmatters.org and we’ll tweet your message for you. Tweet @OurCSWM and use the hashtags #WSWD19 #ImprovingLives. Let’s all rally together to change the narrative and help people understand what social work really is and importantly, what it isn’t! Written by Rachel Dickinson, Barnsley Council’s Executive Director – People, Lead DCS for CSWM, Chair of the ADCS’s Yorkshire and Humber region and Vice President ADCS.